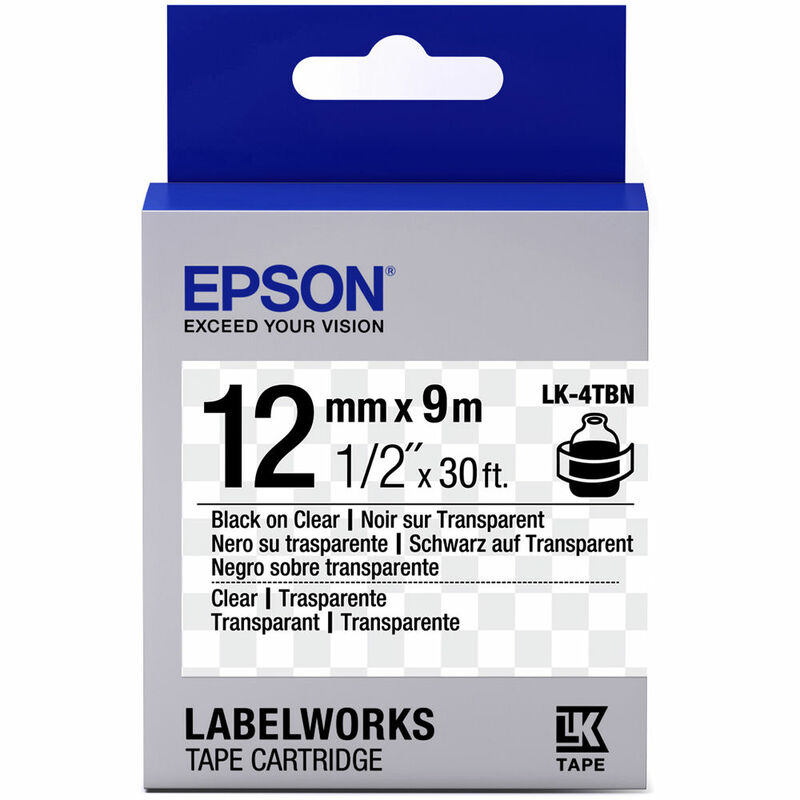 Create custom labels with the Epson LabelWorks Clear LK Tape Black on Clear Cartridge. With a width of a half an inch and nearly 30-feet of length, the cartridge features a split-back design, which makes it easy to peel and the durable, hard plastic casing allows for safe storage. The cartridge is designed to work with Epson's LabelWorks label printers. Box Dimensions (LxWxH) 3.75 x 2.75 x 1.0"
LabelWorks Clear LK Tape Black on Clear Cartridge (1/2" x 30') is rated 5.0 out of 5 by 1. Rated 5 out of 5 by RSM from They work great! These go on clear when applied to my clear shoe boxes or colored plastic containers. It meets my expectations and continue to order more.